The state of the British Armed Forces is a topic of frequent debate at the moment. 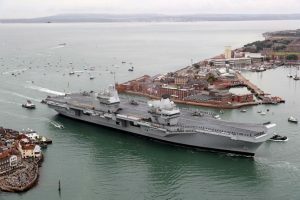 Many Conservative MPs, such as Johnny Mercer, are concerned that further cuts to Britain’s military will leave its capabilities crippled and Britain in danger, with Rear Admiral Alex Burton joining the chorus of critics. Mercer is partially correct in his analysis. Cuts to the armed forces have significantly reduced Britain’s capabilities, but Britain’s security has not necessarily been endangered. Indeed, if Britain were to overhaul its entire approach to defence, it could very easily make the nation safer with fewer resources. What is required is a change in grand strategy. 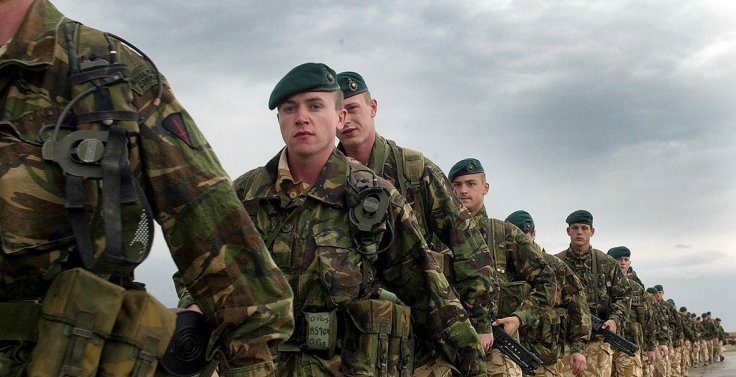 The British armed forces have seen cuts in recent years, with the number of full time troops in the British army falling from 108,000 in 2010 to 78,000 in 2017. Similar reductions in numbers have been seen in the Navy and RAF. Funding has also fallen, with an 18% real terms cut between 2010 and 2015. 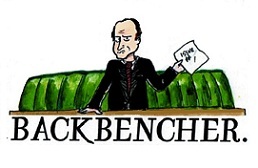 Further cuts were planned by the government but, for the time being, this appears to have been put on hold. It is worth mentioning that some, but by no means all, of these ‘cuts’ are actually just savings from Britain withdrawing from Iraq and Afghanistan, peace is always cheaper than war. Rear Admiral Burton has stated that cuts would impact Britain’s ability to “fight and win on the front line” and that new threats, particularly from Russia, cyber warfare and terrorist organisations, threaten Britain. He adds and economic component to his analysis as well, arguing Britain’s falling capabilities will increase “threats to our investments that we’ve got abroad”. So have these cuts crippled Britain’s capabilities? Partially, if Britain wants to continue the same policies as before the cuts then its capabilities have fallen significantly. Shortage of ships, aircraft, personnel and equipment would make high intensity, long term overseas deployments difficult at best. Tony Blair was prepared to unilaterally deploy 50,000 British troops to Kosovo in 1999; he was willing and able to do so. That would be virtually impossible today, as would an Iraq-style deployment overseas. During Blair’s premiership, 2.7% of GDP was spent on defence; today, with some clever accounting, Britain just meets its 2% NATO commitment. However this does not tell the whole story. The strategic analyst Edward Luttwak argues in his book, The Grand Strategy of the Byzantine Empire, that the Eastern Roman Empire, also known as the Byzantine Empire, survived, while the Western did not, by overhauling its entire defence system. Diplomacy, alliances, espionage, propaganda, bribery, assassination and intelligence became the tools Byzantium used to face down its enemies. The massive and expensive Legionary armies of old Rome were replaced by small units of special forces, designed to launch surgical attacks rather than engage in expensive high intensity conflict. Allies would be sought, and bribed if necessary, to do the fighting instead of the Byzantines themselves. Byzantium was able to fight off its enemies for almost 1000 years using this strategy. Britain can overcome personnel and spending cuts by re-configuring how its resources are used, much like the Eastern Roman Empire did. Traditional enemies like Russia and Iran can be deterred from launching conventional attacks against us with nuclear weapons or, if need be, containing or defeating them can be outsourced to someone else. Poland, the Baltic States and the Nordic States possess a combined GDP far greater than Russia; they would be more than capable of defeating Russia and its smokestack economy on their own. Furthermore, tanks, artillery, mass infantry and other traditional weapons are worthless against al-Qaeda style organisations. Special forces, air strikes and local allies would be much better suited to dealing with them than large scale invasions and occupations. No British Prime Minister after Iraq will ever use large scale conventional forces anyway. In the new age of loose terrorist networks, cyber warfare, low intensity conflicts and social upheaval, Britain can make itself more secure with fewer capabilities. An overhaul Britain’s grand strategy is required to meet new threats, rather than relying on the traditional methods which Johnny Mercer and Rear Admiral Burton are worried about. Tanks, massed infantry, artillery and warships are worthless against the new enemies; there is no front line to win on anymore and I sincerely doubt a mechanised division would have helped Sergei Skripal. The security services, special forces, drones, the RAF, the Foreign Office, Foreign Aid and anti-terror police will be at the forefront of future conflict against terrorist organisations or in cyber-space, with nuclear weapons as a ultimate deterrent against rogue states like Russia and Iran. Britain should learn the lesson of Byzantium; security and capabilities are not synonymous and it is the former that the government should prioritise when resources are scarce, which they always are. Massive overseas expeditions to Iraq and Afghanistan have backfired spectacularly, making Britain less safe. Perhaps taking away from politicians the capability of launching these kinds of operations would make Britain safer in the 21st Century.